I got the studio painted. 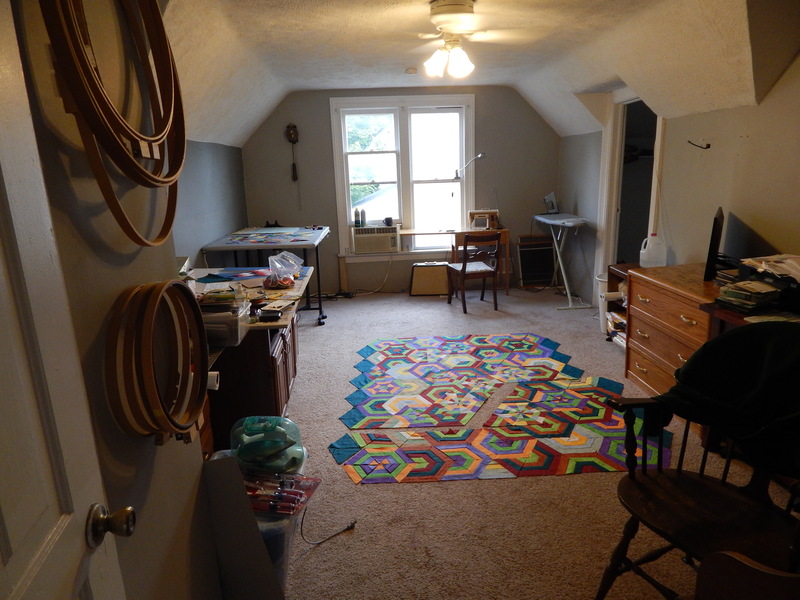 It started with buying a new sewing machine and needing to rearrange the room. I also needed to fix the windows (which still need repainting but that is next). since everything needed moving it was the perfect time to paint. There were several cans of paint in the basement. I decided to see what would happen if I mixed a few cans together. The color turned out pretty good and didn’t cost anything. 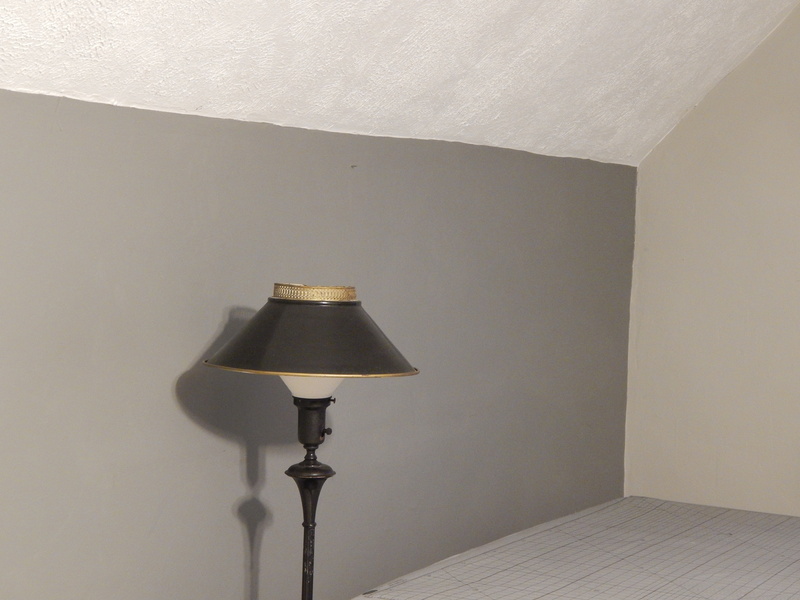 It is hard to tell how dark the gray paint is in this picture so here is a close up. I rearranged the furniture so that Teddy could have his chair by the window. I have space for both the Singer 301a and the 600. And I hung a bunch of my paintings. Before I started quilting I had time to paint. The computer is really too large for this little desk. I have some organizing to do now……everything ended up on my desk. 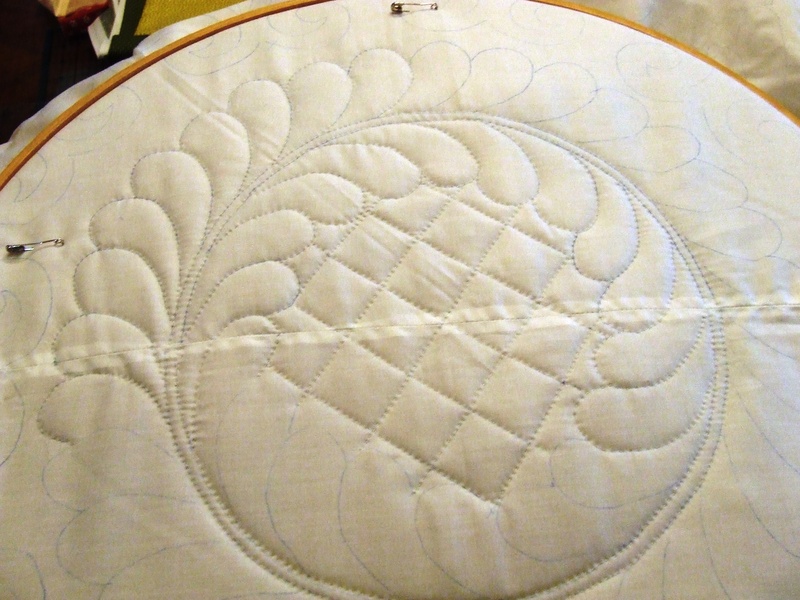 This entry was posted in Quilts and tagged quilt studio, Quilts. You paint too?!?! If course you do! Wow! Superman! I was at paducAh 3-4 years ago and the quilter version of superman was there at hancocks of paducAh in his quilted cape… You need one! You are amazing! Keep up the great work! God has been good to you. You inspire me! 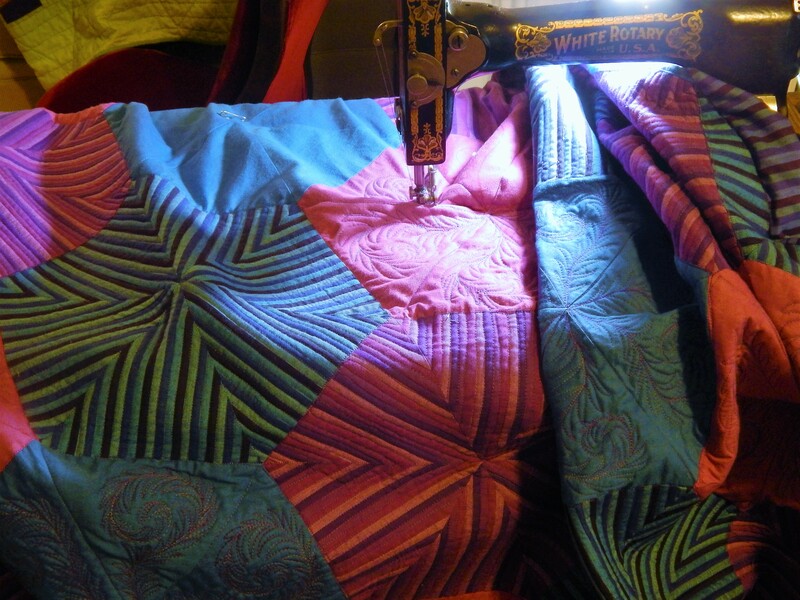 Yes, the Quilting Superman! That’s what should be posted outside of Quilt Taliesin, Mount Olymquiltus, Quilt Nirvana. In a tasteful manner, of course. We must think of an estate name for your manor. Quilton Abbey. Not bad.Quiltshead Revisited. Quiltingham Palace. Sorry, the Muse is a little demented tonight. Yes, that would be nice; a discreet manor sign, with Teddy’s autograph hours at the bottom. All that hard work has really paid off. The space is much more user friendly and I’d guess it has an impact on your colour selection too; that gray would have made the room pretty dark. Wow Tim, everything looks great. Teddy looks pleased. 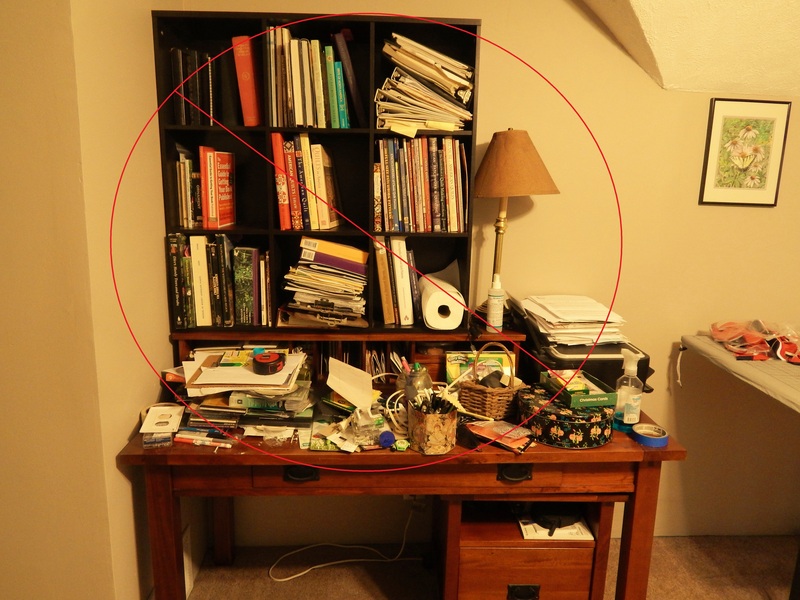 Showing your desk reassures us that you are like the rest of us. Love all the changes! The new paint color is great…that ironing table is awesome (wish I had room for one!! 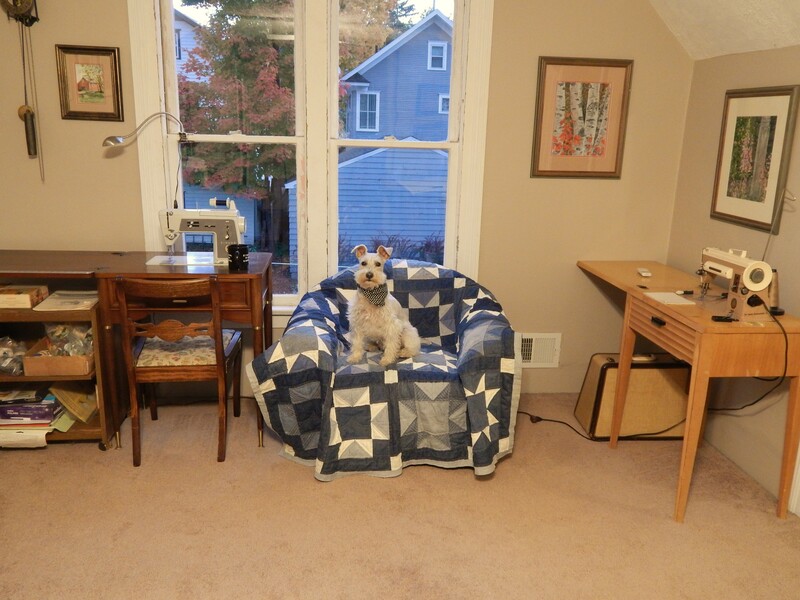 )…and Teddy’s chair with a view is wonderful….now he can sit near you, no matter which machine you use, and he can look out the window too…and, when he gets tired of his inspector duties, he can just snuggle on that beautiful quilt!! So it looks like the paint color turned out sort of beige? It looks really nice. Good job rearranging everything to make it comfy for you & Teddy! The room looks a lot bigger now. And Teddy’s chair is in a great spot! Thank you for taking us into your home – I’ve enjoyed all the before & afters since you bought the place. You have really made it come alive. One question: do you also live next door? If so, how do you live in both places? Amazing studio….amazing garden….just a simply lovely new home. And you deserve it after all the work you did! 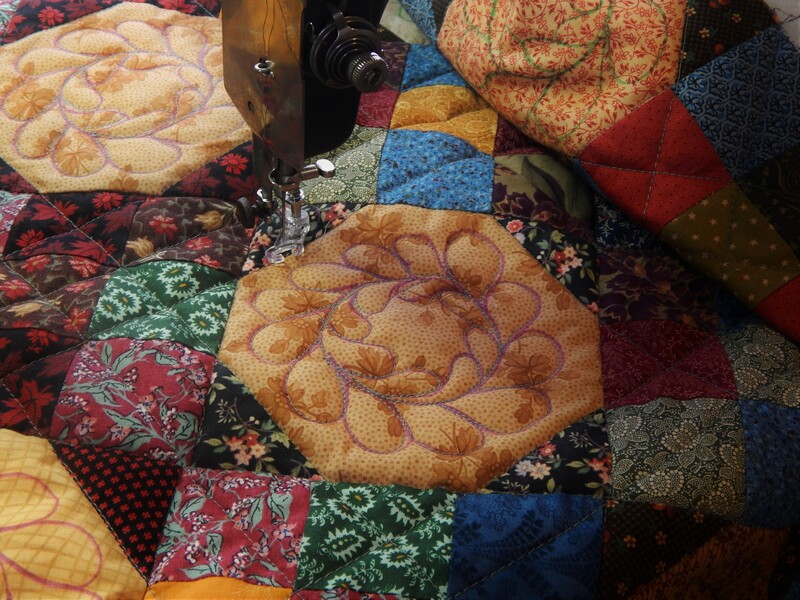 You seem to be good at “everything.” Your quilting can’t be beat! Should say ethic not erhic. Love that color! perfect..the room looks so much bigger too..nice machines you have. Teddy looks very happy in his chair..sort of “Is this OK Dad?” look..precious. I Love your paintings, wow. You are such a talented Guy…and you paint!! Ha. Everything is just Beautiful..Enjoy your new space. 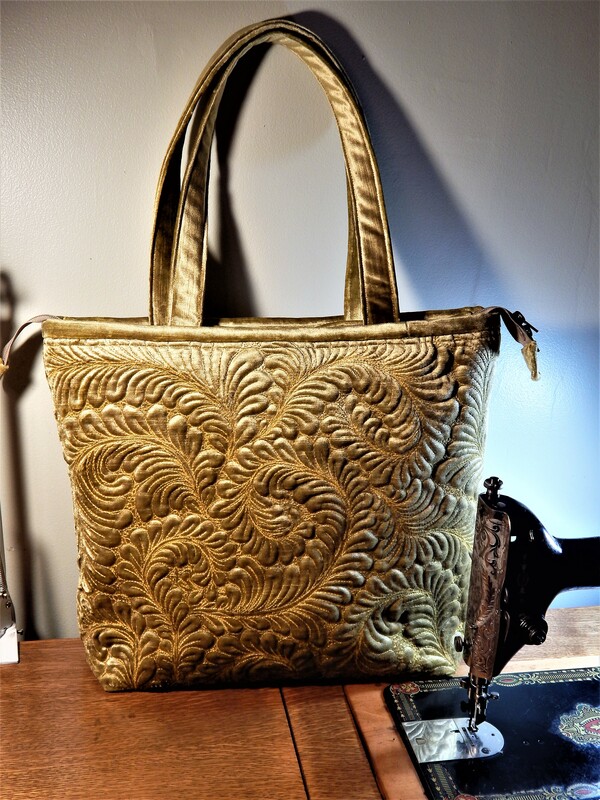 Now you need to get some good lighting in there so you are not working in the shadow of that overhead light. Room looks very inviting, I have several machines set up at once too and it is very convenient.